Short Biography about the life of Frances Cook Steen. A pioneering woman that lived in Minden, Nebraska when the town was first settled in 1878. 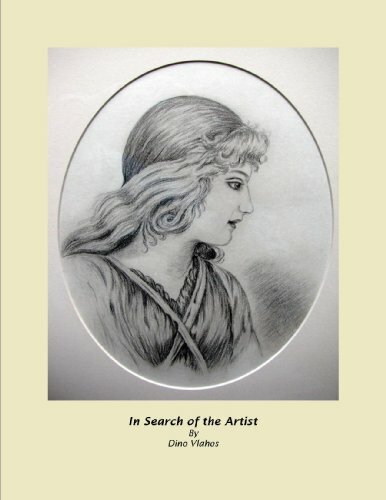 Nearly 100 years after her death, her artistic works ignited a spark in the author's heart that propelled him into a ten year journey of research and travel that culminated into this fascinating biography. Dino’s biography of Frances Cook Steen is captivating for a number of reasons. First, the time period it crosses includes life prior to the Civil War and on up and through World War I and into the Great Depression of 1929. Frances lived during, perhaps the most dramatic of time periods in history. She witnessed our country torn apart by civil war; went from the covered wagon to automobiles and airplanes; from candles and kerosene lamps to electric light. Frances turned life into the prose that she penned in her poems. Although written nearly a century ago, her poems are as timely today as they were when written. The attention to detail found in her pieces of art is equally astounding. They will captivate you as they did Dino Vlahos more than a decade ago when he first came upon them. The following is but one example of her timeless poetry found in Dino Vlahos' new book. Many have asked Dino Vlahos what motivated him to write this biography. His response is: "Frances was an accomplished poet, composer and teacher of music. She was also a very talented but unknown artist during her lifetime. After reading her wonderful poetry and admiring her artwork for a number of years, I made it my task to honor her memory and bring her accomplishments to the forefront. It is my hope, that with this book, I have accomplished my goal of having Frances Cook Steen receive the recognition she truly deserves."